It’s really important that medical students talk about female genital mutilation (FGM) in good time to think about it, well before they are presented with real-life professional situations where they will need to be competent, composed, compassionate and yet also uncompromising, in immediate and often very complex contexts. 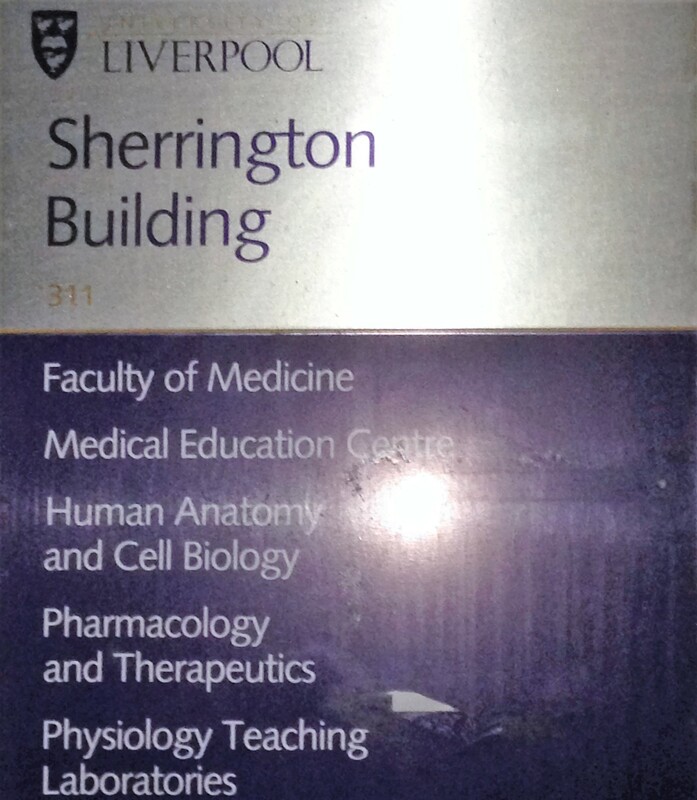 I had such an opportunity to discuss FGM just this evening, at the University of Liverpool Medical School. My message as ever is ‘from horror to hope…’. The event was organised by the Liverpool medical students’ own obstetric and gynaecology study group, SNOGS, and also included a Senior Registrar in Obstetrics as speaker on the clinical aspects. It is usually true that those practising genital mutilation on girls and women believe unquestioningly that it must be done, for ‘reasons’ eg of piety, adherence to custom, hygiene or efficient bodily function. Sometimes, especially in diaspora (ex-pat) communities, it is also imposed as a marker, indicating adherence to the traditional norms of the ‘homeland’ society. It is also – though again by no means always – true that the act of mutilation is carried out by women. Traditionally the operatives may be senior female family members and the full impact of the assault may not be clear (or may not be acknowledged) by the men. The women impose the FGM both because they believe – not always and inevitably correctly; but men and women very rarely discuss such matters – that the men require it, and arguably also because they too are victims of FGM and it would be intolerable to think their own mothers way back permitted their daughters to experience this pain unless it was unavoidably necessary. Almost always, however, there is also an underlying issue of ‘purity’ (virginity) and of the economic ‘value’ of the female human being undergoing the mutilation: girls and young women are economic commodities which – rather than ‘who’ – produce children. They are reared to be sold for marriage (often very young indeed, and perhaps also as junior wives). Practising communities see no need to invest beyond the fundamental level of rearing; options instead to provide education or other opportunities for independent adult status are simply not part of the equation for girls – only boys require education. For these reasons FGM must be seen, in the context of eradication, as patriarchy incarnate. It is the ultimate in the literal imposition of male power and will on women’s bodies. (And as such, there are also occasions when FGM, or a harsher version of it, are imposed as a punishment for disobedience or non-compliance within the community. For these reasons too it is critical that FGM be named as mutilation, and not euphemised as ‘cutting’ or ‘circumcision’ etc. These euphemisms may be required when talking as a clinician with a patient who herself uses such terms, but otherwise the formal naming is essential – no-one holds a medical conference to discuss ‘ladies’ problems down there‘ (but they may hold one on Gynaecology, even if some patients don’t use the term). The Bamako Declaration and the Feminist Statement on the Naming and Abolition of Female Genital Mutilation (see also here) both make the case for formal naming and abolition – requirements confirmed by the United Nations Resolution of December 2012, and examined further in the context of Anthr/Apology. Euphemisms may quickly become interpreted as implied tolerance, thereby putting future possible victims at greater risk. Likewise, whilst the wish of some women with FGM to be called ‘Survivors’ must be respected, it is important to note that anyone who has experienced FGM is the ‘Victim’ of a serious crime – again, softening the terminology may reduce the impact of measures to prevent it happening again. It is inescapable in the context of continuing secrecy that most of those with FGM remain in a very meaningful sense, and however stoically they persevere and regardless of the degree of ‘consent’ – actually legally impossible – which may be claimed, victims of the assault which was inflicted on them. It is critical that FGM is perceived within a wider context. Attempts to subordinate women via control 0f their bodies are made by powerful men and their allies in all societies – hence the close interest by some in women’s fertility and much else of a gendered personal nature. (This is particularly the case in right wing, authoritarian and traditionalist regimes.) The UK, for instance, is not thought by the UN Special Rapporteur (see end of blog) to be in particularly good standing in this regard, nor does it have a good record on asylum claims based on FGM. There are still many examples in the UK of violence against women, and of failures to protect girls. FGM should be placed within such a context of wider failures in regard to child and gendered abuse. It is not ‘of the other’, it is another example of traditional ways of thinking which especially damage female people (it is obvious that such behaviour damages everyone to some degree). Further, it must be recognised that in some parts of the world FGM is actually done, for a fee, by medically qualified practitioners. This certainly happens in various African countries such as Kenya, and in Egypt / the Middle East and Asia, and is thought probably to occur also in some Western countries, possibly the USA and UK amongst them. The position of the World Health Organisation (WHO) and almost all national legal and medical bodies is clear: FGM constitutes gross malpractice and merits severe penalty. Some clinicians and others are concerned that they must comply with new British legislation to report FGM (see Home Office Mandatory Reporting of Female Genital Mutilation – procedural information). FGM is not however the only clinical condition which is subject to mandated reporting, nor are other crimes exempt from official scrutiny. There is therefore a more consideration by some clinicians of their own unease, beyond acknowledgement of the more general issues of confidentiality. Further, it is commonplace that crimes are more likely to occur if they are not reported. The argument that FGM ‘will go underground’ if reporting occurs ignores the fact that it already is. French experience suggests that rigorous interrogation of the risks to which children may be exposed if eg their mothers or sisters have had FGM must be a critical factor in prevention. Similarly, without full epidemiological and other data on incidence, it will remain difficult to use the limited resources available to best effect. The reporting structure is not ideal, but it is a start. The prevention of FGM is infinitely preferable to having to deal with its aftermath. All clinicians must be aware of how to help women and girls with FGM; the demands on time and skill are many, bringing together requirements for physical, psychological and social / family support as well as, where appropriate, reconstruction and restoration. It is much better however to stop FGM happening in the first place. For this reason education, health, social and legal services must in future liaise much more closely than they have so far (this is perhaps especially true in regard to collaboration between eg GPs, local safeguarding boards and the police, as well as with midwives, who are often on the frontline). Professional turf wars must be avoided and everyone’s focus must be very firmly on the protection of vulnerable adults and children. One place where this can happen is Public Health. There is a long way to go, but the first steps have been taken. At last medical schools and other professional training institutes are ensuring that female genital mutilation, along with similar concerns, is part of the core curriculum. Hilary, you did well to note how life under patriarchy is a shared disadvantage for women whether suffering FGM or other forms of inequality. And regarding physicians’ need to address FGM before it confronts them, Comfort O. narrated the following anecdote when she appeared as keynote speaker at the 1996 founding of INTACT in Germany. Comfort, a young nurse, suddenly found herself entrusted with delivering an infibulated woman whose baby’s head was already seen cresting under a bridge of flesh. ‘Cut it! Cut it’ the parturient was screaming. When Comfort did, the infant shot out with such force that she was propelled back against the opposite wall and nearly dropped the baby. It seems clear that such traumatic introductions to the custom should be avoided by adding courses on FGM to medical school curricula.